FLOYD J. STEWART, passed away peacefully in the Lethbridge Hospital surrounded by his loving family on Monday, March 26, 2018 at the age of 83. Floyd is survived by his loving wife of 66 years, Betty Jo Jensen Stewart; his children, Robert (Dana), Rosalee (Don) Chisholm, David (Martha), Donald (Tracy), Troy (Sue), and Vicki (fiance- Doug Neidigh); daughter-in-law, Carol ; 36 grandchildren, 64 great grandchildren and 7 great great grandchildren. He was predeceased by his mother and father, Lena and Bert Stewart; sister, Bernice Orcutt; brother, Stan Stewart; son, Ken Stewart; son-in-law, Gene Powlesland; and grandsons Darren and Jaydn Powlesland. Floyd was raised on a farm and loved farming and ranching which he continued until his death. He was a self taught man who tried many avenues to make a living for his family. He assessed land for taxes, installed telephone poles and lines, did D8 caterpillar work, welded, built and dismantled buildings, sheared sheep, hauled hay and ran a herd of cattle for more than sixty years. Floyd was always eager to volunteer in his community. He was always there to help friends, family and strangers that crossed his path. Floyd had a very strong work ethic and taught this to his family. He influenced and taught many young men the same good values. He loved to hunt, hike, ride horses, swim in the river, camp and quad at the family cabin. Travel became a highlight as he toured around the world with friends and family. He was never too old for new adventures like ziplining in Mexico, deep sea fishing and parasailing. Floyd was a member of the Church of Jesus Christ of Latter-day Saints and participated by giving service in many areas of which scouting was one of his favorites. The most important thing to Floyd was his family. He was a friend to all. 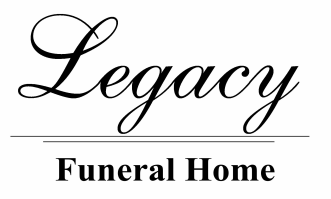 Friends may meet the family on Friday, March 30th, 2018 at Legacy Funeral Home in Cardston from 7:00 to 8:00 p m or at the church on Saturday from 10:00 to 10:45 am prior to the service. The Funeral Service will be held at The Church of Jesus Christ of Latter-day Saints, South Hill Chapel, in Cardston, AB on Saturday, March 31st, 2018 at 11:00 a.m.
Interment to follow in the Kimball Cemetery. Condolences may be sent to the family by CLICKING HERE.